The tunnels were dug with simple tools and bare hands during the French occupation in the 1940s, and further expanded during the Vietnam War in the 1960s to provide refuge and a defensive advantage over the American soldiers. Despite all the bombings in their town, the Cu Chi people were able to continue their lives beneath the soil, where they slept, ate, planned attacks, healed their sick, and taught their young. Some even wed and gave birth underground, but over 10,000 lost their lives here. The Cu Chi tunnels, was included in a story on the world’s top underground tourist attractions by CNN, a global TV network channel. It also features on the Dailymail of UK as one of world most surprising tourist attractions. 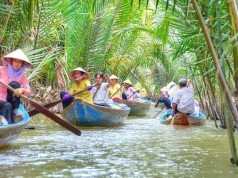 So to bring golfer from around the world to this fascinating attraction in Cu Chi and not to forget some swings in these hot days of Saigon, UniGolf corporate with Saigon River Tour, one of the leaders in speedboat services and speedboat tours at Bach Dang Pier in Saigon, offer to you our newest product: Cu Chi Speedboat Golf Tour. Joining this tour, you can have best memory when visiting Cu Chi Tunnel – Vietnam wartime iconic simple and learn how the Vietcong make a stand against US armed forces during the most horrible time of Vietnam War. 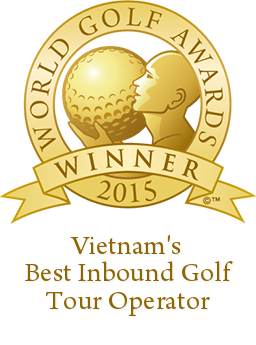 Beside you can enjoy 3 golf rounds at 3 “must visit” golf courses around Saigon and relax at the Lavender Boutique 3 stars hotel located on the street nearby Ben Thanh Market, best destination for anyone who wants to have a Vietnam ways of shopping experience. 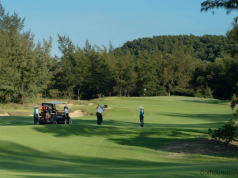 Long Thanh Golf Club: This golf course was designed by GolfPlan Company, one of the America leading companies in golf course design and Ron Fream, a world well-known golf course architecture. The grass of the golf course are Paspalum, imported from the countries which are specializes in exporting grass seed for golf courses. With this grass, the fairways will be very beautiful, create high accuracy. 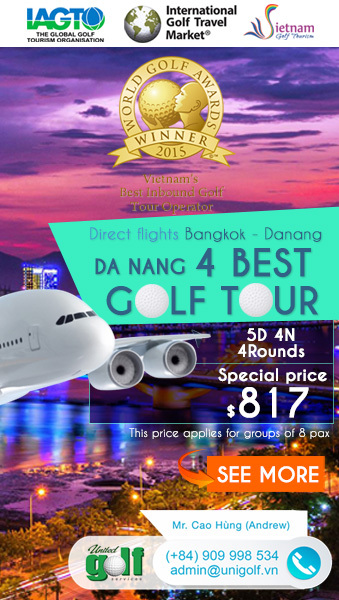 Tan Son Nhat Golf Course: Very near Tan Son Nhat airport and best place to start your first round of golf holiday in Vietnam. Song Be Golf Resort: This golf course has been comprehensively planned since the first day of the project, so this place seems to bring the nature closer to golfers with lakes, trees, green grass; which was sophisticatedly designed as the shape of undulating mountain. Therefore the natural green space here is very homogeneous and seems unlike patchworks. Day 1: Meet & greet at Tan Son Nhat Airport then you will go to the hotel for check-in and rest. 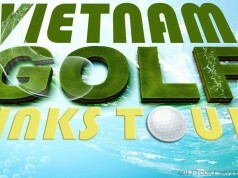 Day 2: After buffet breakfast at hotel, you will come to Long Thanh Golf Club, to play one golf round, then come back to the hotel to rest. Day 3: After buffet breakfast at hotel, you will come to play one golf round at Tan Son Nhat Golf Course, and then come back to the hotel to rest. Day 4: After buffet breakfast at hotel, you will come to play one golf round Song Be Golf Resort then transfer back to hotel. Day 6: Check-out then free & easy before transfer to airport to fly back home.